Sales invoices are used for a variety of business transactions to document purchase of goods and services rendered. They detail the purchase and payment terms together with the seller’s name and contact details. A sales invoice lists down the summary of the goods purchased or service rendered for record keeping and tax requirement purposes. 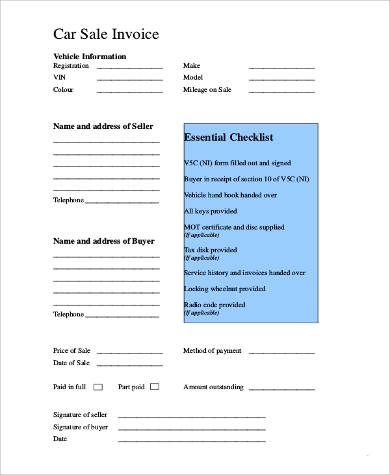 Our downloadable and printable Invoice Samples come handy together with seller and buyer details, spaces for date and invoice number, item name, quantity and description, plus their corresponding unit price and total price. 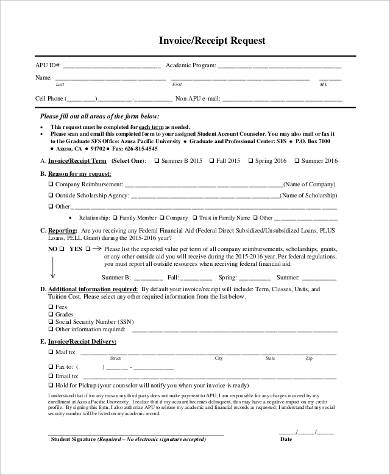 They serve as reference for most invoice specifications and are available for both Word Doc and PDF files. 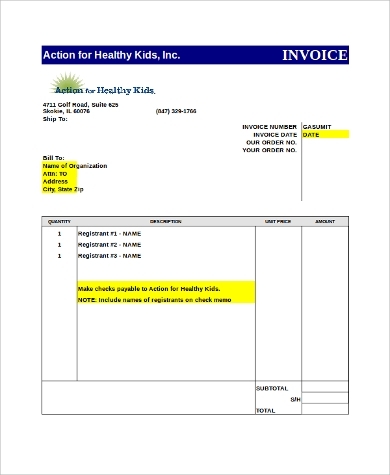 A sales invoice should not be confused with an official receipt. A clear definition between the two is that while a sales invoice is an itemization of any ordered goods and a request for payment, an official receipt shows that you have made payment for the goods or services being requested. Most companies who employ sales representatives also hand out sales invoices to their agents as a way of tracking their sales and the items they were able to sell. It can also be used by company bookkeepers and accountants as a tool to give a proper verification of product inventory, sold goods, and paid amount of a company to assess its financial health. A sales invoice can represent income that your company has earned even before actual payment has been made. 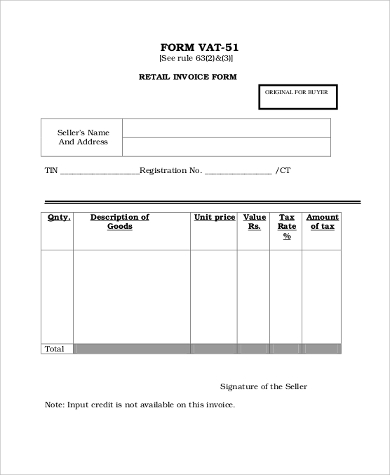 Goods and services delivered and issued sales invoices can be considered good as sold and payment to be made is already recorded as revenue in most companies’ ledgers. 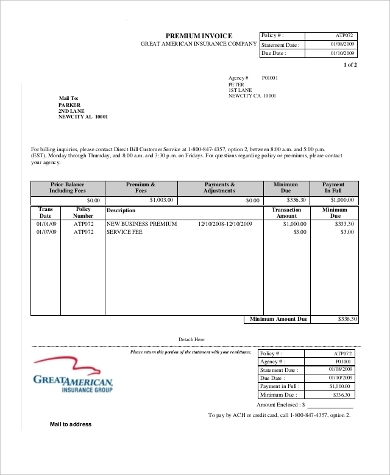 Sales invoices represent proof of sales that need to be collected and provide information on cash flow volumes on payments and collectibles based on sales invoice information. Keeping track of billing processes are made easy when there are sales invoices in the billing system that can be traced for easy billing and not missing out on unpaid balances. 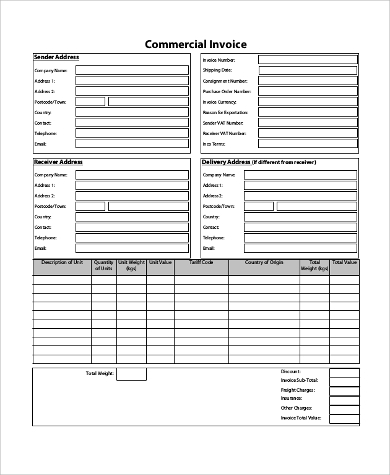 We also offer free downloadable Sample Blank Invoice and Sample Service Invoice for those who want to outline their own templates and for invoices that details services provided. 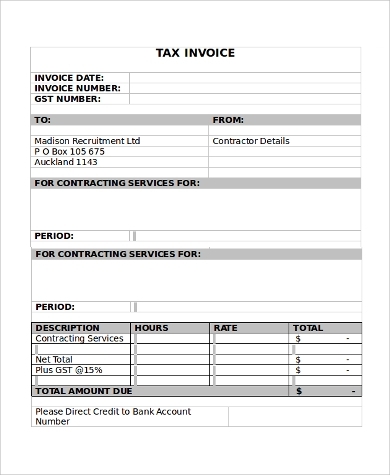 Sales invoices are vital tools for the budgetary aspects of the company’s accounting system by providing revenue information and financial forecasting for sales purposes. The information obtained through sales invoice revenue forecasting can help plan a company’s inventory purchases and improve capital requirements for additional expenditures based on the sales volume of certain products. 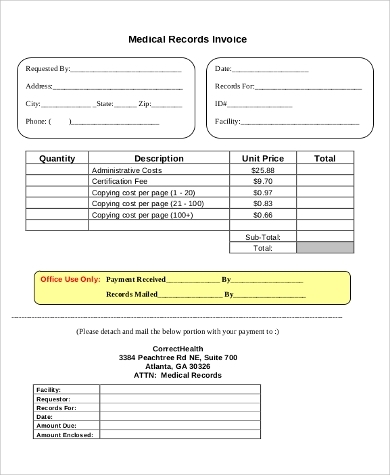 For a list of references, please refer to our Printable Invoice Samples. These will help provide you with clear information on the outline of how invoices are configured. These can be edited and modified according to a company’s own specifications and come in different kinds for different uses. 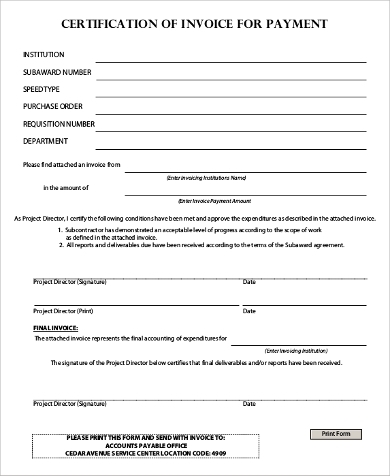 Some forms are being highlighted to emphasize the important details that shouldn’t be left out when issuing invoices. These can be downloaded in either Word Doc or PDF file before printing.